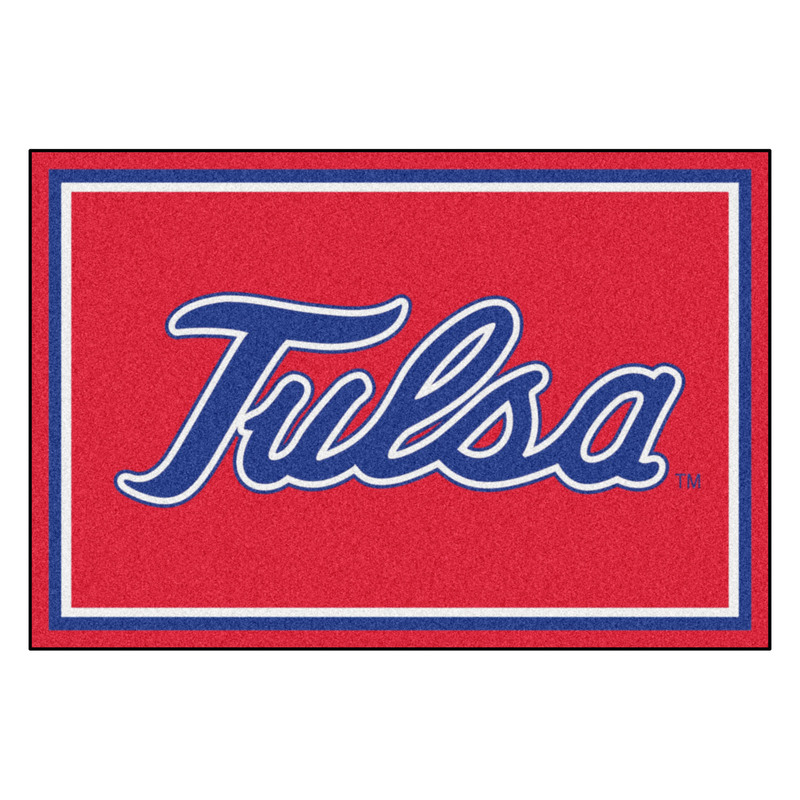 This University of Tusla Golden Hurricane 5' x 8' Area Rug is manufactured right here in the USA with high standards and quality in mind. This area rug is constructed with non-skid Duragon® latex backing that ensures a rugged grip on whatever surface it is place on. In addition it is printed with your teams' logo chromojet printed into the 1/4" plush nylon carpet fibers in true team colors. 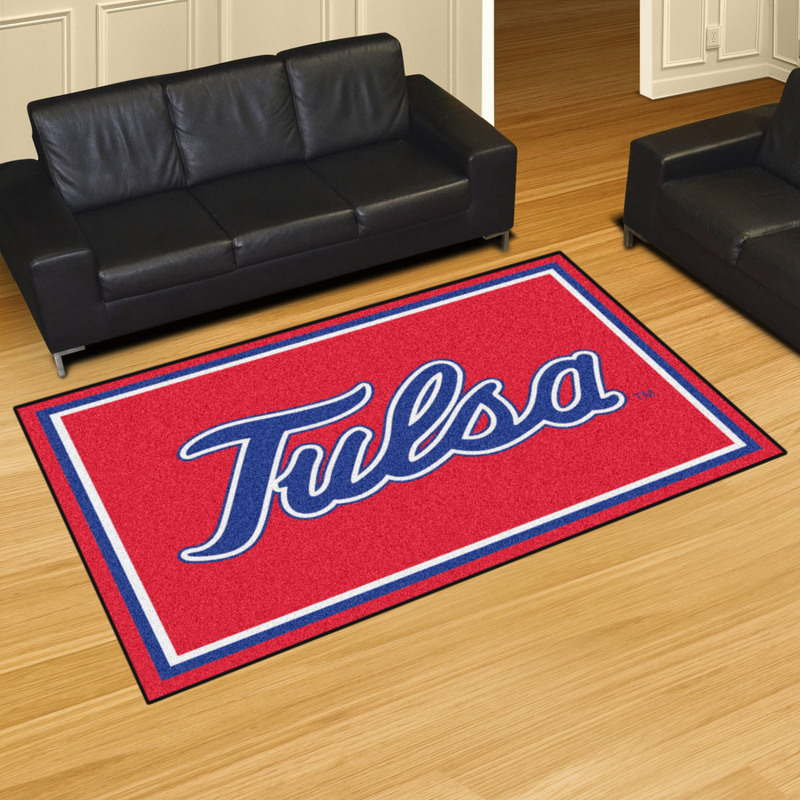 University of Tusla Golden Hurricane area rug has actual dimensions of 60" x 92"
If properly maintained this area rug will not wear out, but please visit our Cleaning & Care Page for how to care for your new Golden Hurricane Area Rug.